Peanut butter has lots of protein. Add whey protein to it to get a power snack loaded with protein. Additionally, peanut butter contains good fats – monounsaturated fats – called “good” because they are considered heart healthy. So, eat this snack and give your muscles, including your heart, what they need for power! 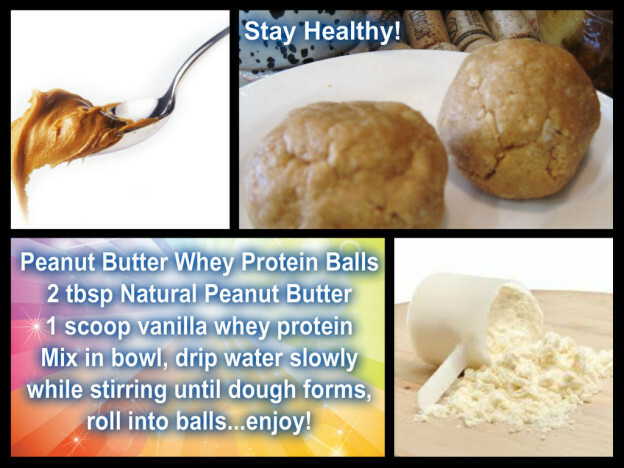 Mix the natural peanut butter and whey protein in a small bowl, drip water slowly and stir until just combined and able to roll thick dough into a ball. Makes a great power snack!